@ZachKleinWSB Another week, another #falcons arrest. John Abraham charged tonight w/ Obstruction of Police & of Fire Fighters. Only information so far about this.. Zach Klein is a pretty connected source so I believe the info he comes up with. This is from his twitter.. Obstructing Police / Fire isn't that bad of an arrest.. but an arrest is an arrest. I'd like to see why this took place in the first place. 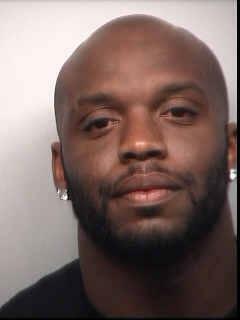 Atlanta police arrested Falcons defensive end John Abraham tonight at Atlantic Station in Midtown. John Chafee of the APD’s Public Affairs Unit said police charged Abraham with obstruction of police and obstruction of fire fighters. According to Chafee, police and fire firefighters were responding to a call about a woman threatening to jump from one of the buildings when Abraham refused to exit the scene. so, it seems like there was a police situation going on, and Abe simply refused to leave, and he was arrested... that's not much at all.. According to the Atlanta Journal Constitution, the emergency workers were responding to a call about a woman who was threatening to jump from a building in midtown Atlanta. Abraham allegedly refused to leave the scene, and Atlanta police arrested him and charged him with the misdemeanors. I mean come on.. is that really arrest worthy? ^^^^^^It sounds like he went into the scene, then wouldn't leave. Little different than simply refusing to leave a scene you were already at. Abraham crossed crime scene tape and refused to leave after being asked by authorities to do so, police said. The tape was put up by police responding to a woman who was threatening to jump from a building. I know Abraham is still a very good player, but I'm so happy the Jets traded for him a first round pick that ended up being Nick Mangold. he clearly knew the women who was threatening to jump. not listening to police officers and crossing into a crime scene is obviously not the correct thing to do.. but a little leniency for someone who is seemingly trying to help the situation would be nice..
1) No. Let the police and firemen do their jobs. I'm a firefighter and if someone just showed up trying to "help" and refused to leave, I'd hope they were arrested. Unless you're trained and know what you're doing, you're much more likely to do harm than good. If you enter a crime scene and are told to leave by firefighters and police, and you not only remain in the scene, but go further into the scene, you deserve some sort of punishment. 2) What am I missing? Was he actually trying to help? I don't think he's worse of a person if he was just trying to get into his house or to his car or anything, but I didn't see anything about him going to try to help. 3) All that said, this is a very minor issue, regardless of whether or not he was trying to help or whether or not he should or shouldn't have been arrested. I doubt anyone thinks anything less of him, but he shouldn't have done it. Nothing will come of this. johns a stand up guy not worried about this at all, anyone with a concience would do the same thing if they knew that person. Can someone link to the article that says Abraham was going to help and that it was someone he knew? I haven't seen it in the links posted. I don't agree with him going to help, unless it was someone he knew, that article would totally change the story. @ZachKleinWSB #Falcons statement on Abe "We are in the process of gathering more information and we will have no further comment at this time"
I don't think we will find that out for sure until Abe makes a statement that could clear this up. I don't see why he would go try and help after he is told not to unless it was someone that he knew though. You'd be surprised with the "hero syndrome" we encounter on some of our calls. Do we know that he was actually trying to help? It's possible he was trying to get through the scene and didn't want to go back once he got part way through? Maybe he was visiting some and had to go into the scene to see them? Lots of scenarios, none of them are any worse than any other though. Like I said, very minor issue, unless he was trying to talk to someone he knows well, then it's a little more acceptable. Still though, leave that stuff to professionals. He probably wanted to help. I totally understand that since you are in this line of work that your perspective is definitely a lot more informed/educated about situations like these, and I have agreed with everything you have said. The "hero syndrome" is something that I totally see that a lot of people feel like they want to help when in actuality its causing more problems for the situation. I guess I just want to give Abe the benefit of the doubt here. Abe to my knowledge has never had any run ins with the law, and has always seemed like a very standup guy. I had said before that I believe that for him to get caught up in this that he must have known the lady or he would have just gone about his business. There has not been a report yet to my knowledge that has stated whether he had any ties to the lady or not, and my guess is that we won't know any info like that until Abe makes a statement himself. So, I hope that he did have ties to the situation because in my eyes that at least justifies to me why he was so set on getting himself into the situation. If he didn't know who the lady was, and this was a case of the "hero syndrome," than I really don't have any sympathy for him getting arrested for not complying with the police (even though at the end of the day, it's not like he was Mike Turner and got a DUI while speeding, or another violation of the law that actually is putting himself or innocent people in harms way). At the end of the day, I don't see Abe getting a suspension of any kind for a misdemeanor like this. Just stupid. Get out when the police tells you to.